Did you have a favorite teacher when you were growing up? What class(es) did this person teach and why did he/she make an impact on your life? This challenge runs from Saturday, October 8, 2011 through Friday, October 14, 2011. This challenge is run by Thomas MacEntee over at his blog called Geneabloggers but was originally authored by Amy Coffin over at her We Tree Genealogy blog. When I can, I try to participate. This one I knew I had to participate in because of one special teacher that I had in the 4th grade. I went to Cogswell Elementary in El Monte, California. From what I remember, it was a small school that at the time of my attendance, only went up to 6th grade. My 4th grade teacher was named Miss Martin. She was special and made me feel like I was part of the crowd. I always felt out-of-place at school because at the time, I didn’t make friends easily. I remember that she has a larger than life personality, had beautiful black hair and was a very tall woman (although that last one could be because I was short in the 4th grade.) She was fun, always telling funny jokes and made learning really fun and enjoyable. She made me feel that it was ok to be different and that I didn’t have to be part of the “in” crowd, than individuality was a good thing. Several years ago, I was going through an old box from storage and found my 6th grade autograph book. When I read it, all of my memories came rushing back. Including those of Miss Martin. Even though I was in 6th grade, I went and had her sign my autograph book. The cover of my 6th grade autograph book. Photo owned by author. As you can see, it is staring to fall apart. I plan on scanning the whole book to save it from any further damage. The first page that I filled out myself. Photo owned by author. 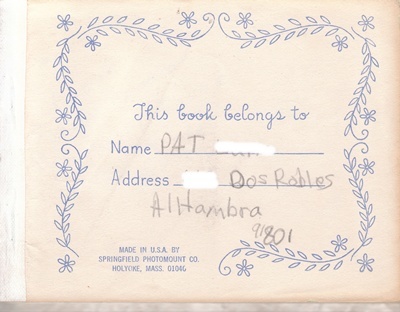 Back in the day, I actually liked calling myself Pat even though my first name is Patricia. Now, I really dislike Pat and prefer Tricia. I filled it out myself and even put down my address. 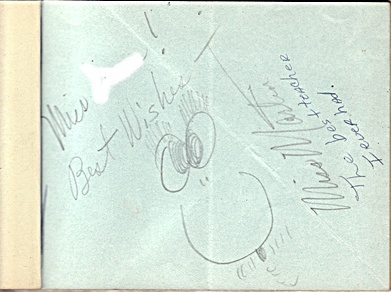 Miss Martin's Signature in my 6th grade autograph book (I had to enhance this photo to make sure the pencil showed up). Photo owned by author. 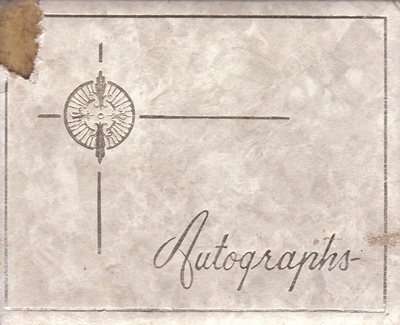 Here is Miss Martin’s signature in my autograph book. I always loved the little face she drew! She put that on all of the assignments that got good grades. You can even see my notation that she was “The best teacher I ever had!” However, I don’t remember when I wrote that in.